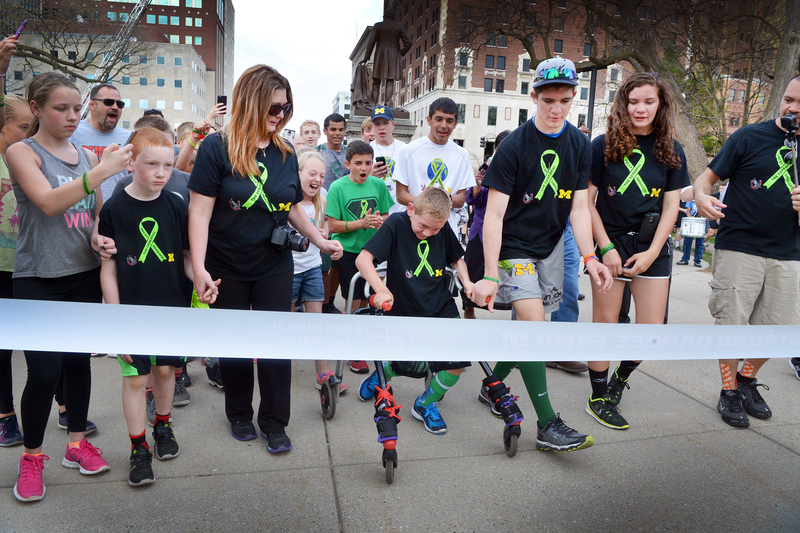 LANSING, Mich. — Sen. Dale Zorn congratulated Hunter and Braden Gandee for completing their six-day, 111-mile walk from Temperance to the steps of the Michigan Capitol on Monday in an effort to raise awareness of cerebral palsy. Braden is nine years old and has cerebral palsy. He was carried by his 16-year-old brother on the trek for all but the last half mile. Braden walked the final stretch with a walker. 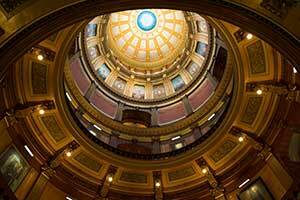 The brothers were greeted at the Capitol steps by Zorn, Lt. Gov. Brian Calley and other supporters. This was the brothers’ third and final “Cerebral Palsy Swagger” together. 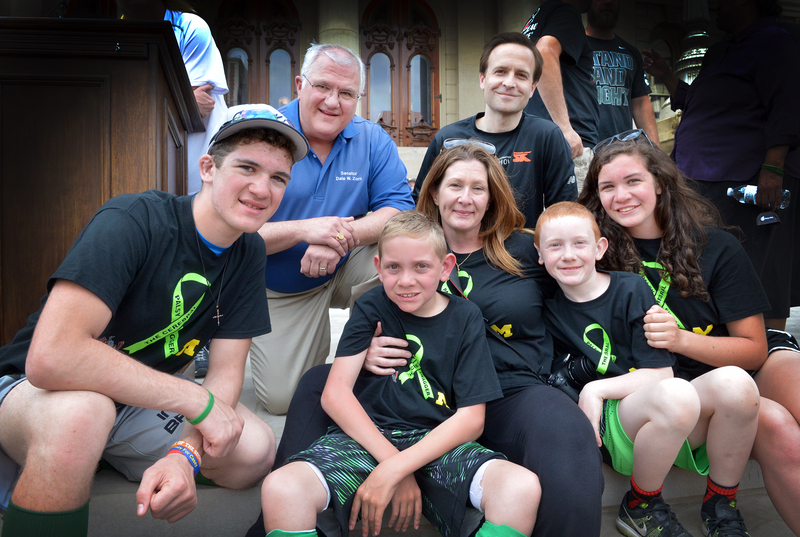 They made their first trek two years ago when Hunter carried Braden 40 miles from Temperance to Ann Arbor.